The frame is in the manner of those used by Thomas Lawrence, which would seem to be appropriate to the formality and grandeur of the portrait. The painting was shown at the Royal Academy, London, 1902. Despite having been resurfaced, the frame is a fine example of the large formal portrait frames from the early decades of the nineteenth century being reproduced at the beginning of the twentieth century. 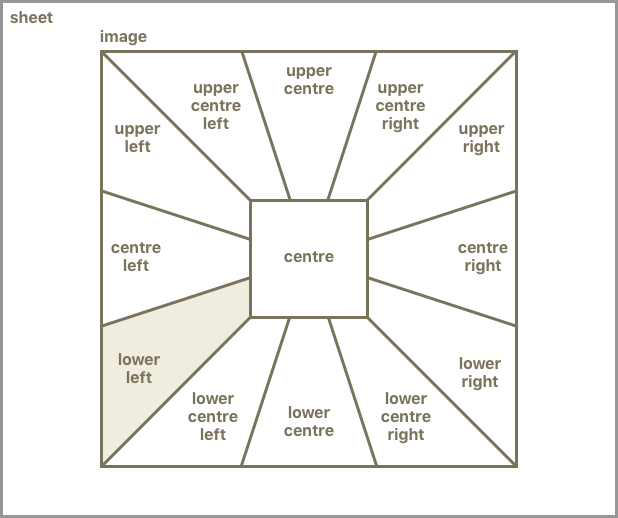 Framing styles are often revisited long after their date of introduction in order to develop our response to paintings through the association of the frame. 30 Great Russell Street, London W.C. The frame is made up of composition ornament on a wooden chassis. The corners are secured with large screws in the manner of frames which are intended to be taken apart, though here the ornaments across the face of the mitres are bonded to the substrate. Little evidence remains of the original finish, though it was more than likely gilded with a mixture of matte and burnished surfaces. Losses in the composition ornaments have been replaced at various times. The ornament of the inner scotia is not well adhered. The surface has been over-painted with gold coloured paint throughout.